That’s a big word isn’t it, children? And difficult to spell, as I’ve just found out. John Shelley, Bridget Strevens-Marzo and myself were given the task of drawing pictures for a story written by Annie Neild. In front of real, living, breathing people, and with no time to think because none of us had heard the story before that moment. An illustrators’ shoot-out then; no holds barred, no prisoners taken, giving the audience a chance to watch three grown illustrators sweat with panic. Me, John, Annie and Bridget, anthropomorphizing like mad things. It was a cruel and unusual punishment to finish the day with. 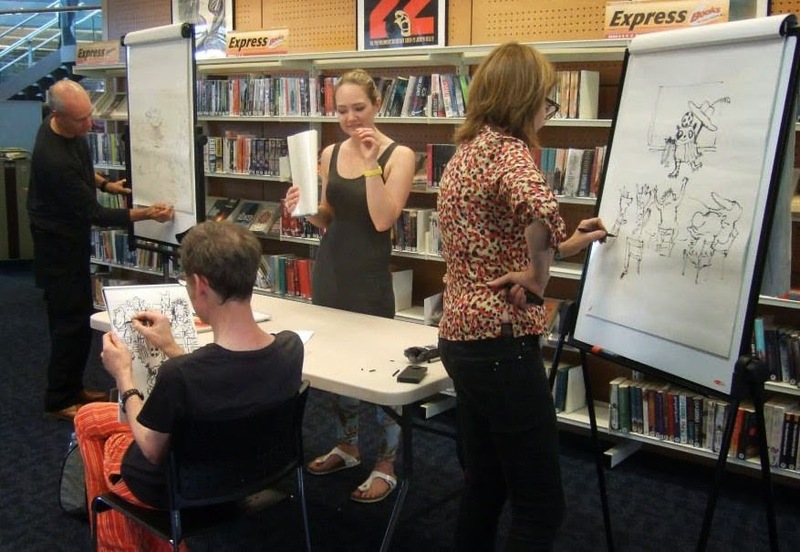 Along with Paeony Lewis, Benjamin Scott and several others, we’d all taken part in the SCBWI Authors’ and Illustrators’ Day at Norwich’s Millennium Library, which John had organized back in July. Most of us picture book people will have been there, drawn that and got the Peppa Pig t-shirt. Annie had written a fun story about a small panda, with an attentive mum and various animal friends. He went to school, and juggled and did silly things. So… not the usual lying-around-in-the-wild-chewing-bamboo-shoots behaviour that real pandas tend to go in for. This was a story about animals as substitute humans, attributing human characteristics to animals, showing them doing things they’d never normally do. Anthropomorphism. Most of us picture book people will have been there, drawn that and got the Peppa Pig t-shirt. Anthropomorphism is a staple of our trade. At one point, Mummy panda had to help little boy panda get ready for school. Right… put yourselves in our shoes. You have three seconds to think how to make a visual distinction between the two anthropomorphized pandas. Obviously size will be one way. But what next? How do you show that the big panda is female, and a mother who cooks breakfast and dresses her son for school? It’s not easy, is it? We had no time to come up with any kind of sophisticated graphic solution. My mind went blank and I resorted to the old Disney trick of putting a big bow on top of her head, and giving her a small dress and pinny. And so did Bridget. And so did John. I adopted my politically correct, concerned face and muttered some fluff about visual shorthand. She glared accusingly at the bow on the panda’s head and the skirts. At first I thought she was trying to make a point about sexism or something similar, so I adopted my politically correct, concerned face and muttered some fluff about visual shorthand. I pointed out that using animals as substitutes for humans has been going on since at least the time of Aesop. No. Still not good enough because, you see, she wasn’t making a point about sexism or race. It was an environmental point. She complained that there are currently so many species of animal being made extinct, and at such an alarming rate, that we writers and illustrators should be concentrating our story-telling talents on showing how real animals live their lives in the real world. Then we’d not only be helping children to learn to read, but we’d be educating them about the natural world as well. And do you know what? I think she had a point. Would picture books taking a more naturalistic approach to their subject matter be a healthier way to educate and entertain our youngsters? 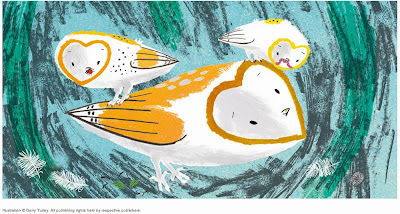 “I can’t think of a single picture book that depicts animals as proper creatures and not as pretend humans,” she said. I could. I’d recently been to the SCBWI Picture Book Retreat at Holland House near Copethorne, and had the pleasure of watching author and illustrator Gerry Turley show us his extraordinary sketchbooks, full of drawings taken from life, many of them executed in the wild. Gerry’s work showed real animals in real environments, and it was stunning stuff. So why don’t more of us do the same thing? After all, there’s plenty of drama and loads of conflict in nature. 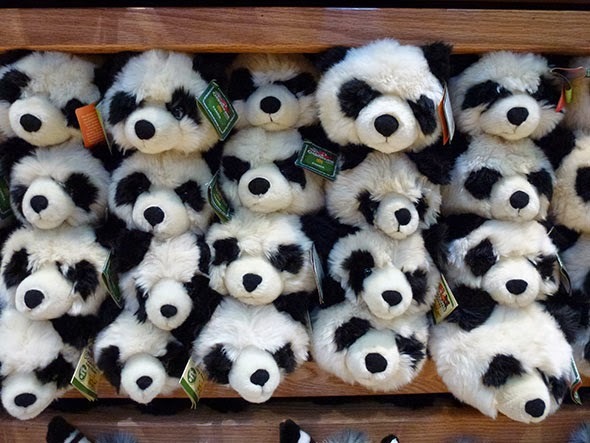 Sadly, there are probably far, far more panda cuddly toys in existence than there are real pandas. Ditto elephants, rhinos, apes… it’s a depressingly long list. Would picture books taking a more naturalistic approach to their subject matter be a healthier way to educate and entertain our youngsters? I would hate it if there were no more Rupert the Bears, Mrs Tiggywinkles, Danger Mouses, Wibbly Pigs, Maisies, and all the other magical animal/human hybrids that have captivated generations of children. But let’s face it, they’re not the ones in danger of extinction. Pandas – real ones – they’re a different proposition. 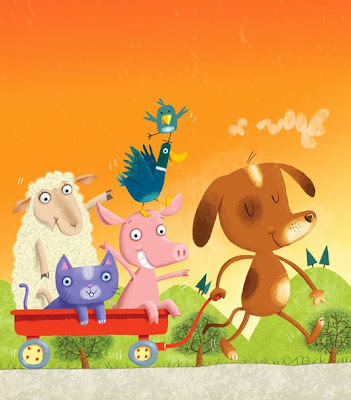 His picture book Woo is due to be published in 2014 by David Fickling Books. Watch out for it. It’s brilliant. Conciliatory. Because that's what publishers want? Really interesting post thanks Mike. The link to Gerry's website has an extra dot on the end so it doesn't work unless you remove it. Thank you for spotting that, Heather - fixed. Brilliant article, Mike! Really interesting point - although I'm sure I'd have struggled with responding to your serious young mother in that particular context! I would hate to think I'd never see another chicken with a handbag, but I'm sure there's also a place for books which show young children more of the reality of the natural world - and of man's impact in particular. Do you think it's the ruthlessness of tooth and claw that makes publishers shy away from it? A good point was made by the audience member. I chose a duck and a bear to represent an author and an illustrator in my webcomic because these animals feature so often in kid lit. I used other popular children's book animals, such as a panda, a dinosaur and so on for other characters in the story. However this was not to make a negative point about anthropomorphism as I think that it has an important role in stories. It enables characters in children's books to transcend many barriers (race, culture, hair colour, age and even, in some ways, gender) in a non-threatening way they become a representative of every child. Plus animals can move and behave in ways that might seem odd or unsettling in a child character - somehow they can have more autonomy (no obvious parental figures) without child readers worrying too much about their welfare. I think that sometimes children can more comfortably identify with animal characters, especially when the subject matter is a little scary. For instance I could imagine a child being terribly upset by the portrayal of a child character who has temporarily become separated from its parents, but make the story about baby tigers waiting for their mother to come home and somehow it takes the edge off enough for the child reader to read about and address this fear. True that there are not enough books about the real life of animals - we do need more but not as a replacement of our anthropomorphic books, they should be in addition. Great stuff hanks Mike! Can't say I would relish an illustration shoot out myself! I especially love these posts that inspire such thoughtful comments. Thank you. 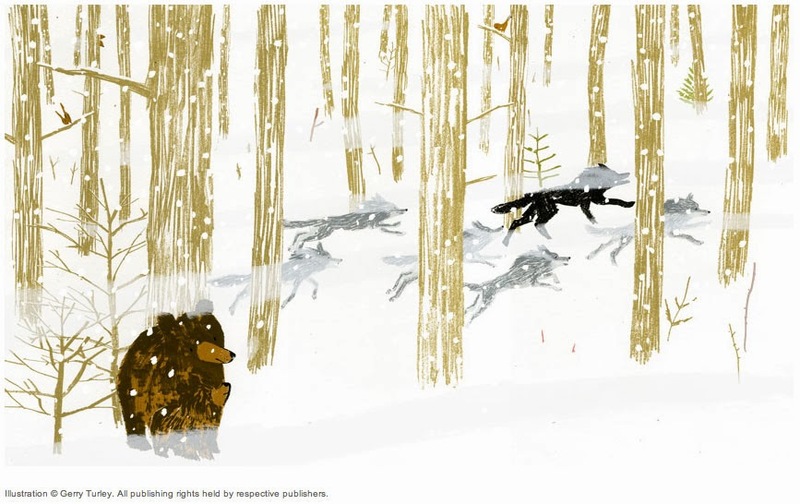 One reason we don't use real animal stories in picture books is that nature is incredibly cruel, so an author would either have to soft-soap some aspects of nature or present it in glorious technicolour, which would put a lot of people (me included) off! I agree with all your comments. I'm not calling for a blanket ban on anthropomorphism. We tend to ascribe human attributes to animals because that's the easiest way of relating to them, and there's nothing wrong with that. 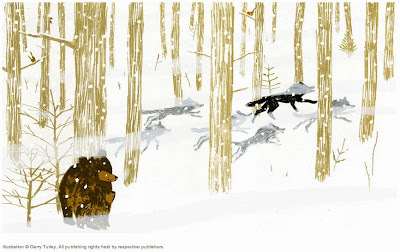 The lady I met gave the impression of being a serious academic, and the point she was making stayed with me because she did hint at a new way of thinking about picture books -- an approach that very few of us take. I have a feeling that many publishers might very well be interested in a fresh, more naturalistic point of view. But of course I have no way of proving this! Peppa Pig does make a LOT of money, after all! What a great, thought provoking article. Hmmm...adults leading the children's markets. We are entrusted with the roles of educators, entertainers, nurturers, protectors. All the above comments have very valid viewpoints. I think some of children's earliest experiences of animals are through pets and those in their immediate external environments. When interacting with, and watching those animals, we do relate (and even interpret) their behaviour to our own. We use our language to explain their own, that's the human way of demystifying the world around us. I agree. It makes us feel safe. Telling a story about an animal without giving it a name or individual character would be tricky without being a wildlife expert/zoologist and would surely be more non-fictional? However, a challenging concept to get your head around full of possible adventures. Thanks for the subject matter!